The dog is a gentleman, said Mark Twain, a sentiment many people would endorse. Dogs have been a part of human cultures for over 15,000 years as protectors and companions. In many parts of the world, the domestic dog is now feral, and as an invasive species in these habitats, causes a cascade of negative effects. 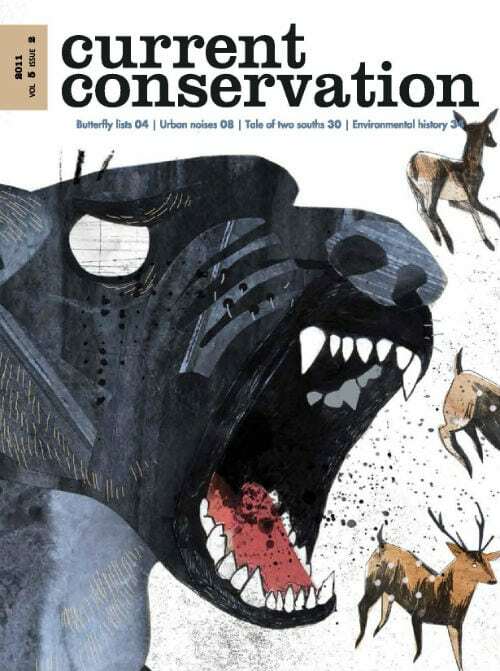 In this issue, three pieces examine how the dog is an introduced predator that harasses and affects local wildlife. Janaki Lenin introduces us to killer dogs-that kill for food or play, but also because they are rabid. Kalyan Varma’s photographs of dogs chasing and being chased by wildlife in Kutch, Gujarat, supplement these narratives. But are non-native species always detrimental to local ecosystems? Ema Fatima thinks not, and in her summary of a research paper, she outlines the many positive effects that foreign species have on the ecosystems around them. revealing summary of a book on environmental history.